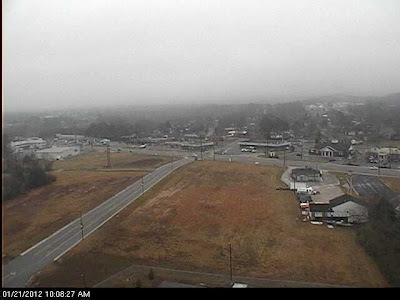 If you've never been to Seattle, just look outdoors today in Cookeville, TN and you'll get a good taste of their weather with fog, dampness, and chilly. It'll be mostly cloudy for the rest of today and we'll not see temperatures rise much from the current reading of 39.9°. 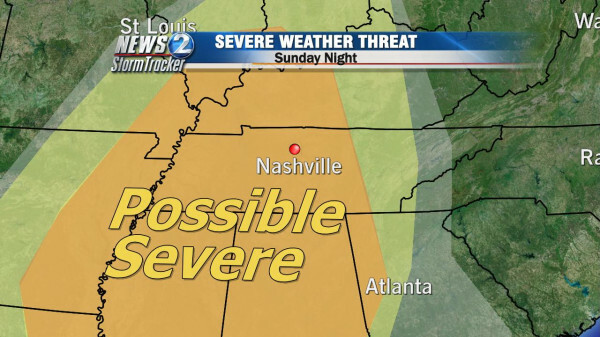 We'll see a warmer Sunday with a high of 60° and then storm chances ramp up again on Sunday night with a possibility of strong to severe chances once again. Here is a map of potential severe weather from the NashvilleWx.com site. Looking further out into next week, temperatures should be above average for this time of year. Snow fans will not be happy!